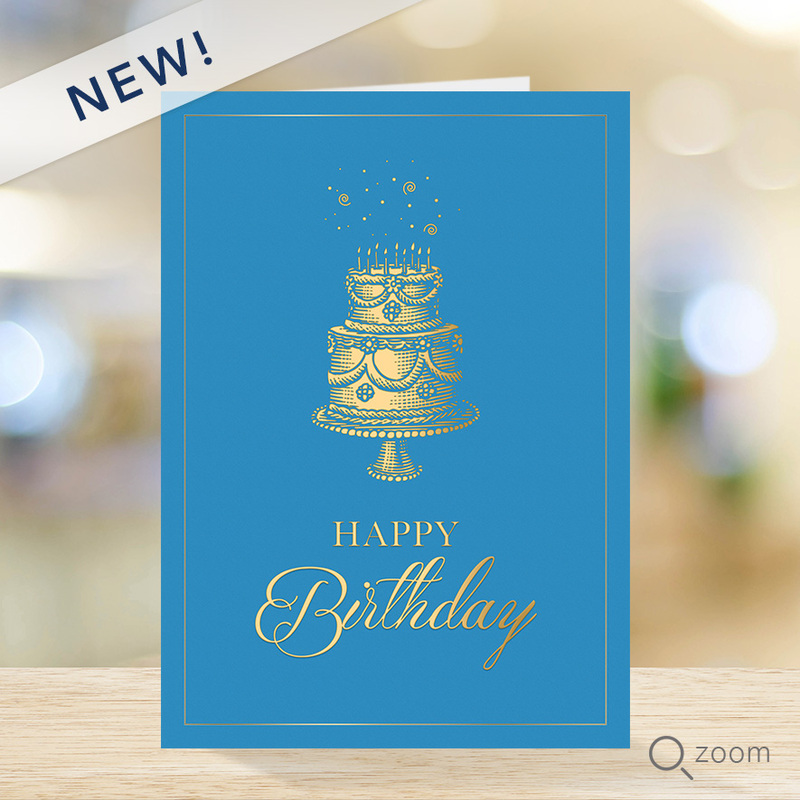 PREMIUM - A superior birthday card option for your company, this card features an all foil cake, enhanced with embossed details. 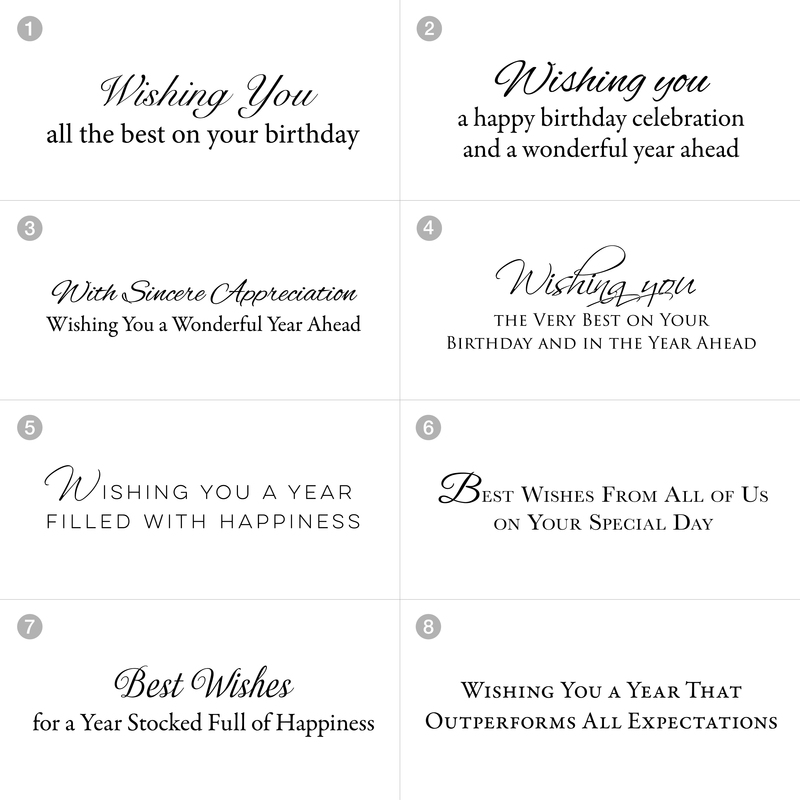 For those looking to impress and wow clients, selecting this card is a piece of cake! Choose an inside verse at no additional cost. All Premium cards are printed on Ivory matte heavy stock. Vertical card, size 5”x 7” with a side fold. Printed on an ivory matte stock by an FSC certified printer*. The price per card for the Premium Card Line includes Peel & Seal® Ivory Gold Foil-lined envelopes. Choose a verse from the options above. Made in the USA.